The Uppababy Cruz Gregory and UppaBaby Mesa Henry System comes complete with the popular UppaBaby Mesa in Henry paired with the coordinating UppaBaby Cruz 2017 in Gregory. The UPPAbaby CRUZ Stroller - Gregory is a compact stroller that’s perfect for urban adventures and folds easily for the car. Designed to tackle tough sidewalks and navigate narrow store aisles, the CRUZ is a full-featured stroller at a fraction of the size. The CRUZ has a compact stroller frame whose sleek and slim design fits through tight doorways, down narrow aisles and busy city sidewalks. The CRUZ stroller paired with the UPPABaby MESA Infant Car Seat delivers a Performance Travel System that is the ultimate in portability and safety. No need to sacrifice performance for convenience. 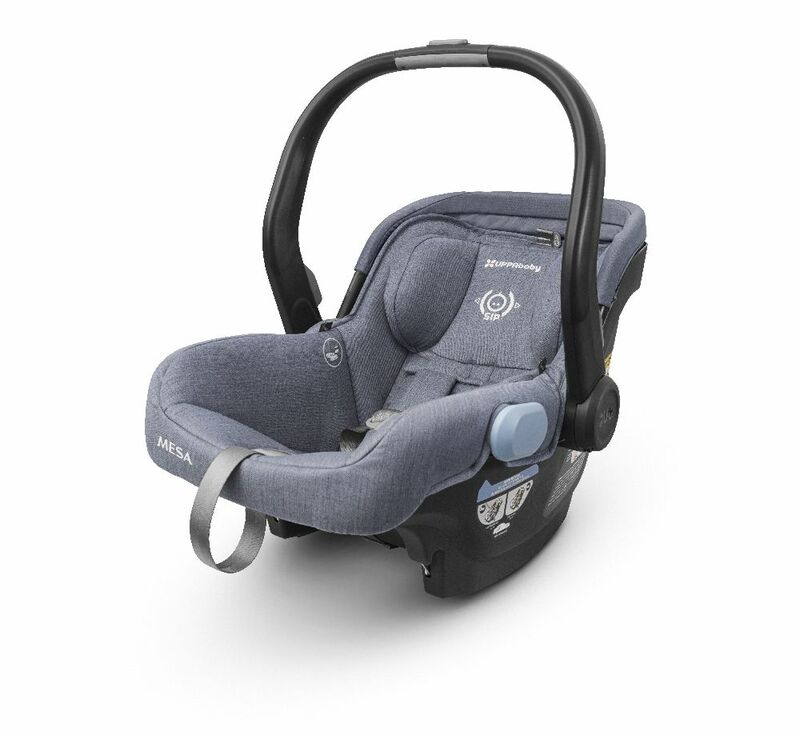 The CRUZ is also compatible with a variety of Graco®, Chicco®, Peg Perego®, or Maxi-Cosi® infant car seats with our adapters. Extendable SPF 50+ sunshade Pull-out sunshade extends to shield your child from harmful UV rays. Large easy-access basket Enormous basket below fits everyday essentials. Large opening means easier to reach diaper bag and toys.